Description: Deluxe 1957 Baseball, Williams #182, 2/57, one player, side cutouts in cabinet, scores grand slams and previous hi-score, base runners in a running man unit. Generally considered to be the most memorible and "classic" of the 1950s Williams pitch and bat games, though frankly I'm not really sure why. This is not personally my favorite 1950s Williams pitch and bat. Of this style of game (last year for the wedge style cabinet which was used on a total of three Williams pitch and bat games like 1956 Four Bagger Deluxe and 1955 King of Swat), I personally prefer King of Swat. 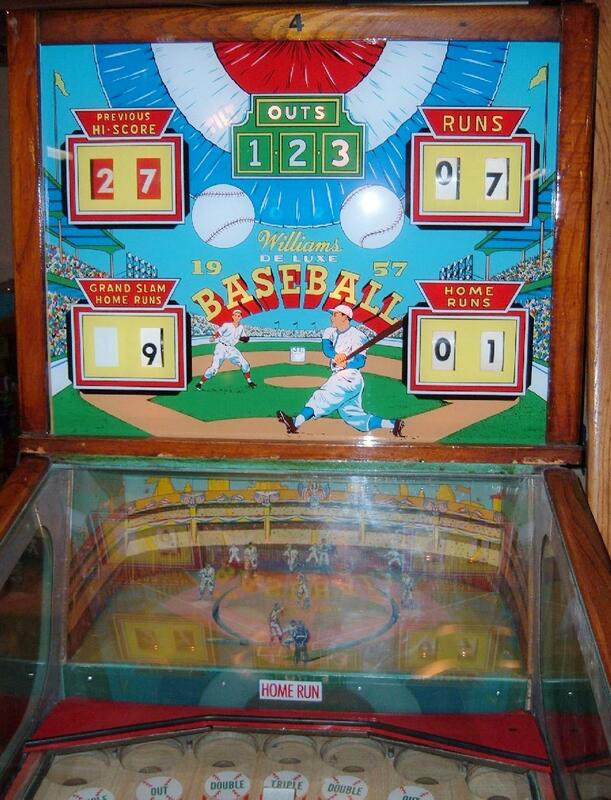 But only the 1957 Deluxe Baseball had side cutouts for better visibility on the wedge cabinet, which seems to be the draw to this game. The 1957 Deluxe also used metal legs (less classic to me). 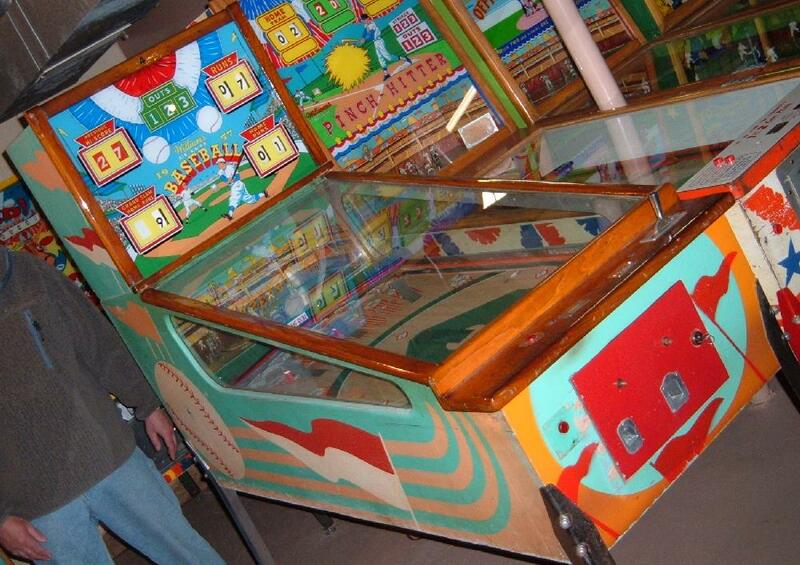 Same basic playfield as the prior year's Four Bagger Deluxe, with three home run ramps to launch the ball into a home run deck. 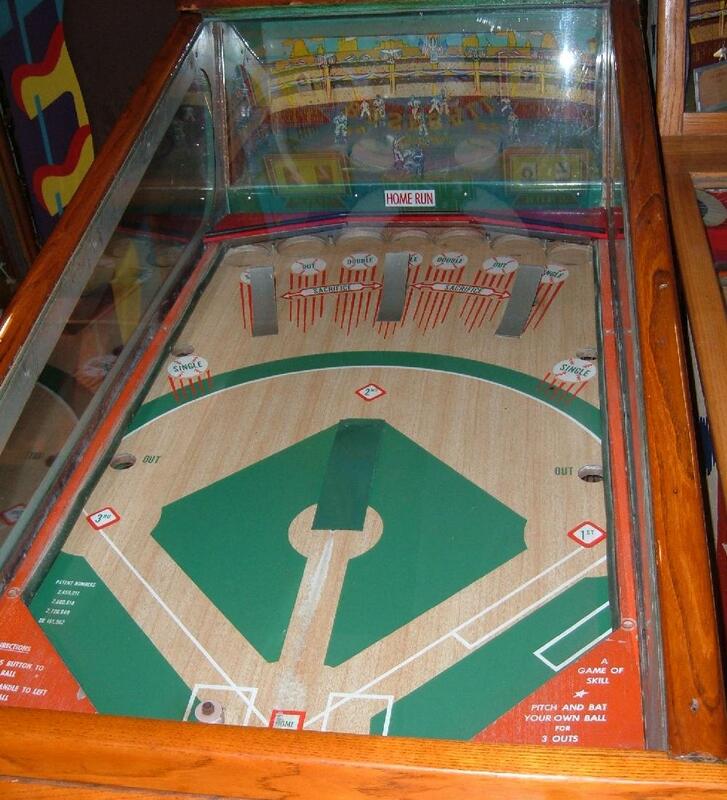 Keeps track of previous high score, total grand slams and total home runs for a player's game. 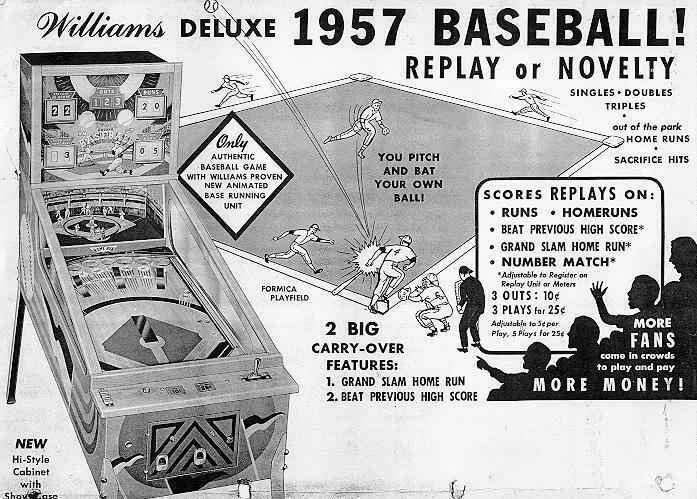 The 1957 Deluxe Williams Baseball is still a single player game and has no pitch selection. Top glass is 23" x 43.5" x 3/16" tempered glass.